If you haven’t heard about Marley Dias, you have now. She has launched the #1000BlackGirlBooks book drive to collect one thousand books with black girls as the protagonists, which will be donated to a library in St. Mary, Jamaica. Did I mention that she’s eleven years old? 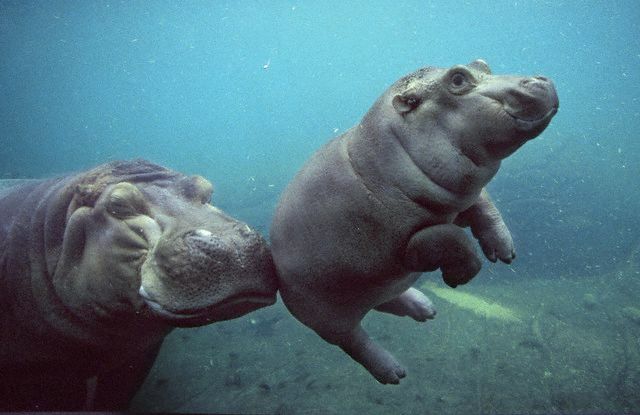 Adorable pictures of baby hippos aside, it’s a common misconception that animals are “smiling” at you out of sincere happiness. Probably you’re projecting that onto them, writes Lee Dye in a piece from 2010. For more on the perils of assigning human qualities to other animal species, I highly recommend checking out Jeffrey Moussaieff Masson and Susan McCarthy’s When Elephants Weep. American Short Fiction’s managing editor Jess Stoner is reading local newspapers from one state a week and reporting on the big headlines in a better attempt to understand America. As she puts it, “Not to snark, not to make fun of people from unincorporated towns who write letters to the editor, but to share with you a more complicated, less yell-y look at where we are, with the hopes of better understanding where we might be headed.” The first state is Alabama. On the heels of a New Mexico school district banning Neverwhere because a mother considered it “R-rated,” Neil Gaiman delivered a lecture for the Reading Agency about the importance of libraries and reading for children. “It’s tosh. It’s snobbery and it’s foolishness. There are no bad authors for children, that children like and want to read and seek out, because every child is different,” he said about banning books. The incomparable Wallace Shawn talks to The L Magazine about: his new book, Essays; Louise Glück; and pretending to be a plastic animal. Not necessarily in that order. After losing funding last spring, the Orange Prize has experienced a rebirth, gaining new financial backers and changing names; it will now be known as the Women’s Prize for Fiction. Modern technology has finally developed a device that aims to aid all perpetually distracted writers – the cleverly titled Hemingwrite.